The Columbia City Community Chorus, directed by Kathleen Tracy, presents their Fall Concert, Harboring Each Other. The event will be a benefit for the Refugee Women's Alliance. The multi-generational Chorus will sing a spirited and moving set of songs both original and contemporary, with a few surprises thrown in! 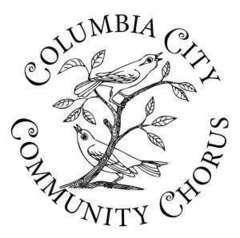 The Chorus will be joined by Columbia City musicians Matt Kelly and Joanne Laterjung Kelly. It'll be a good time, for a good cause! $5 - 20 suggested donation.